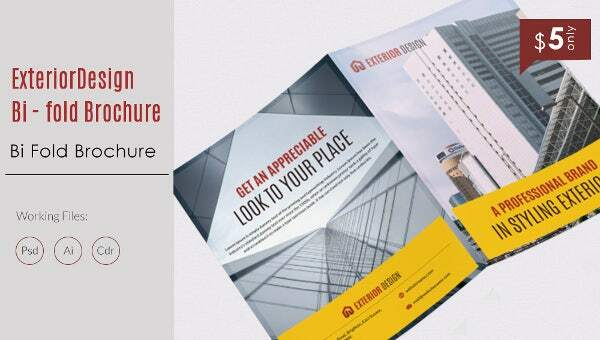 Make use of the Bi-Fold Brochure of A4 size to promote your exterior design brand in an effective manner. This template features four sides that are text editable to add various details related to the business and the exterior styling services that the brand is best at providing to the clients. Use this well-organized brochure displaying images of various projects that the company has successfully completed. The white background of the bi-fold brochure brings the text in red and black color to notice. 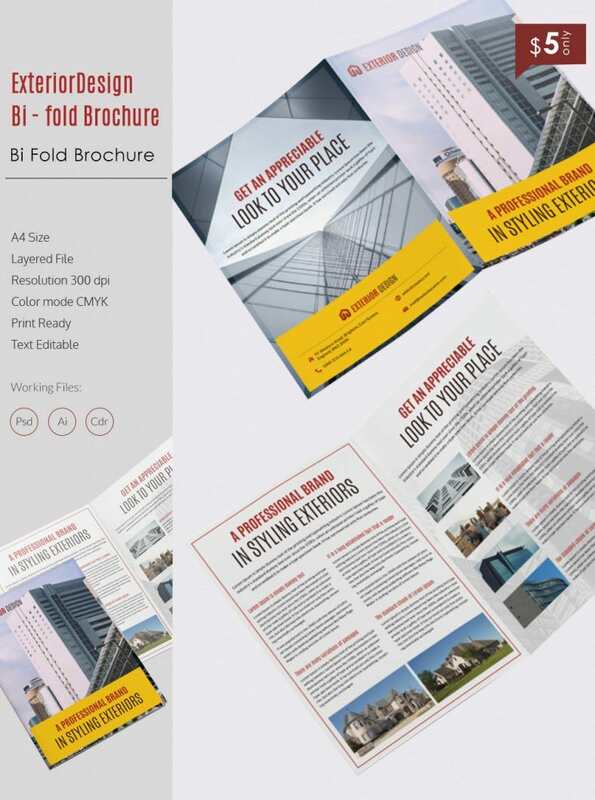 Available for download at a low cost, this bifold brochure is accessible in working files like ai, PSD, and cdr.